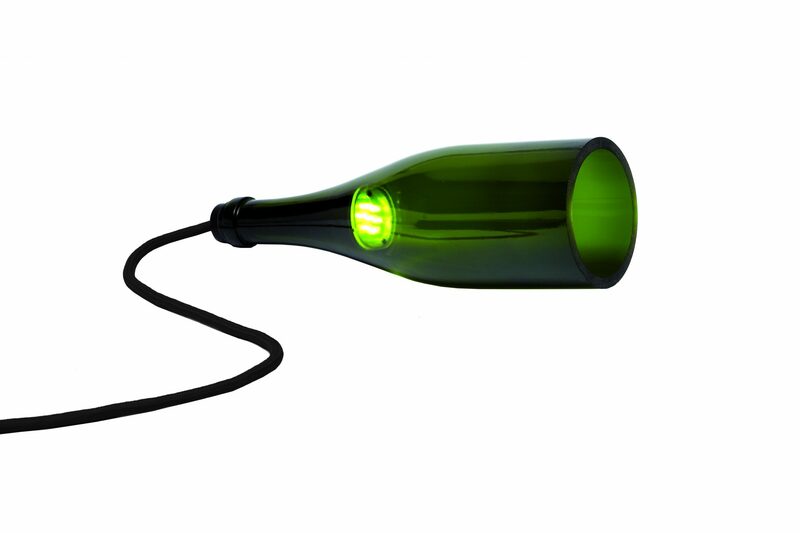 The Bottle Torch is a spotlight which can be used as a wall unit or as a table lamp. As a wall unit with its wall mount, simply placed on any flat surface, or used as a torch in a cellar or… anywhere else. 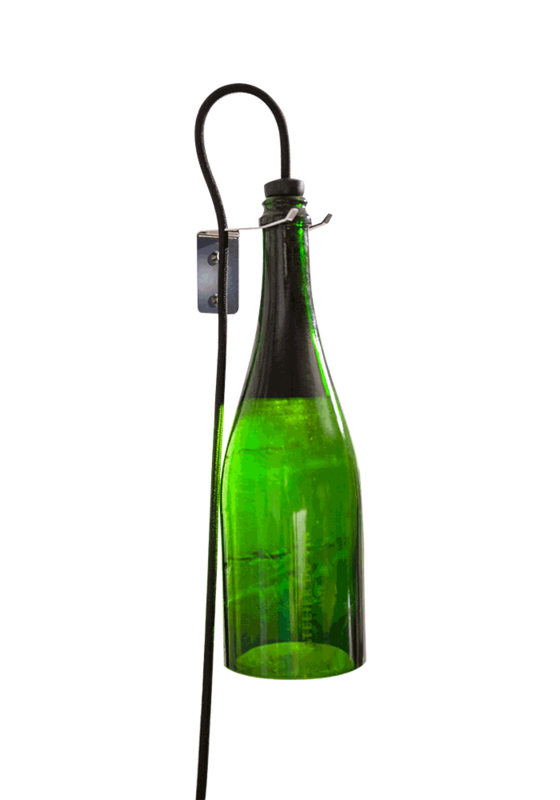 The Bottle Torch is made from a genuine bottle of the region of Champagne. 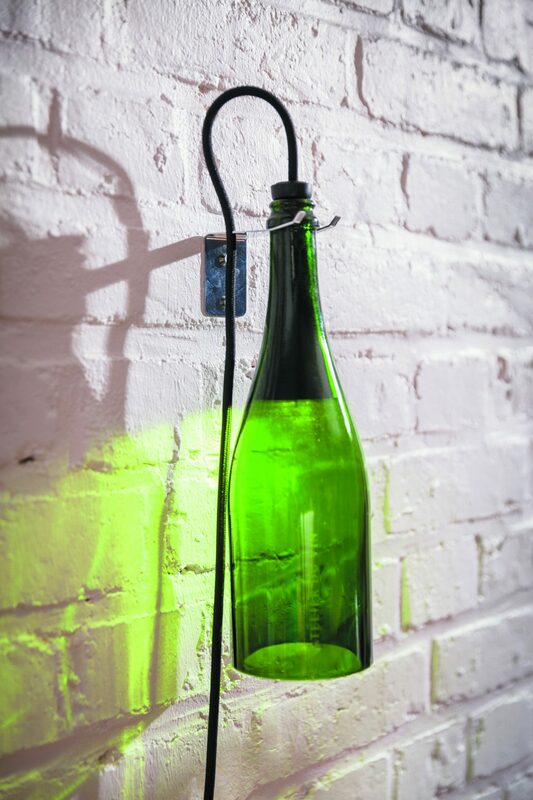 Metal wall mount included. LED lightning system. Adapter Plug 230V/V. Diam. 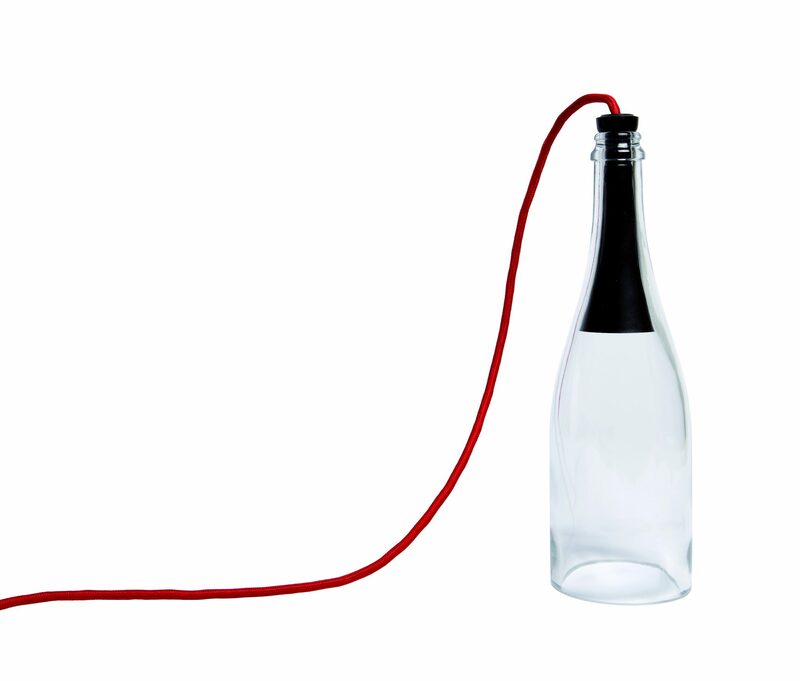 8.8 cm x H 29 cm.